U.S. Customs and Border Patrol officers made a big marijuana bust near Laredo this week, Wednesday November 22, 2017. U.S. Customs and Border Patrol officers made a big marijuana bust near Laredo this week. It happened Tuesday at the World Trade Bridge. A tractor hauling a commercial shipment of limestone bricks and clay articles was inspected by border agents and that's when they discovered the drugs. 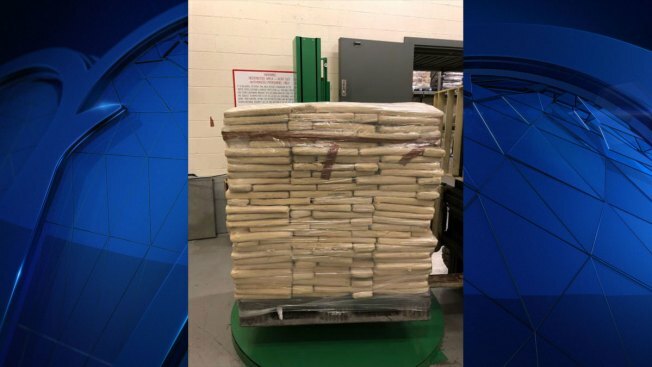 There were 743 packages containing 930.52 pounds of marijuana hidden within the shipment, according to a CBP press release. The marijuana is valued at $186,000 dollars.